Celebr8 with Jenny from Australia and Erin! 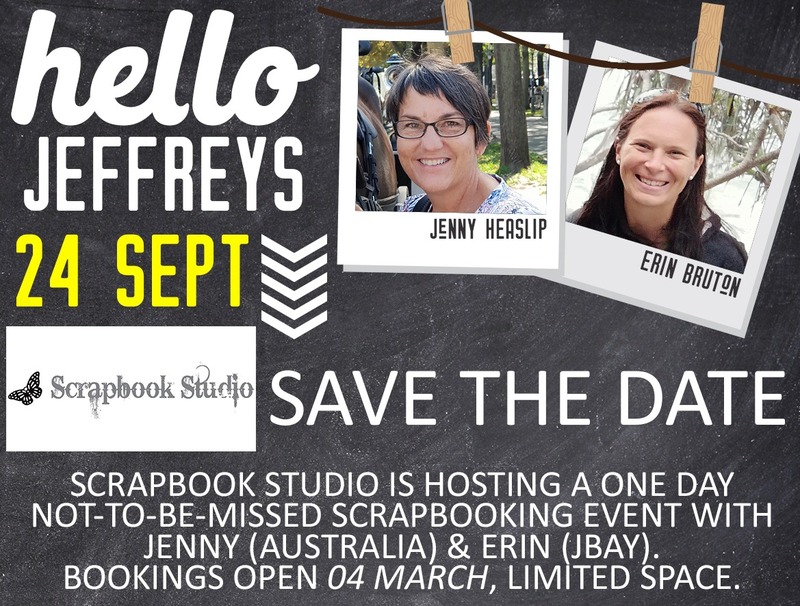 We are so excited here @ The Scrap Shack Jeffreys Bay to welcome the wonderfully talented Jenny Heaslip from Australia and the gorgeous Erin from our own Celebr8 here in South Africa! These two amazing crafters will be teaching projects at our Scrap Shack on 24 September 2019! Jenny is known worldwide for her Interactive Layouts and has taught before in South Africa for Celebr8. We are thrilled that she is coming to our own Venue! Erin has travelled to Namibia and Australia as well as all over South Africa teaching in various cities, using the gorgeous Celebr8 products. Join us for a fabulous and creative day with these two ladies! We offer lots of space for our crafters as well as great shopping and YUMMIE treats! There will only be 25 seats available for this Event! Price includes a whole day creating with Jenny and Erin as well as a bonus take home kit and a fabulous goodie bag! Refreshments and a light lunch will be served. A non-refundable deposit of R200 is applicable to all bookings.